2015 Christmas is coming! What a wonderful holiday! To celebrate this gorgeous 2015 Christmas and New Year holiday season, iFastime now offers a Up to 50% OFF Christmas discount for customers. This sale will last until January 31st, 2016. People now can buy 20% OFF iFastime Video Converter Ultimate(Win/Mac), 20% OFF Wondershare Dr.Fone for iOS (Win/Mac), 50% OFF Wondershare Tunesgo (Win/Mac) during the holiday season. The higher level product, iFastime Video Converter Ultimate/iFastime Video Converter Ultimate for Mac allows shoppers experience an unbounded Christmas movie enjoyment with ease. As a Blu-ray & DVD ripper, it is able to flawlessly rip protected Christmas film Blu-ray/DVD to MP4, AVI, MOV, H.264, WMV, etc and convert Christmas movie Blu-ray and DVD to all mainstream media players like iPhone 6S/6S Plus, iPad Pro, Samsung Galaxy Note 5, Galaxy Tab S2, Surface tablets, Xbox, PS3, PS4, etc. And as a video converter, it can easily convert 2015 Christmas movie library of both recorded and downloaded movies to AVI, MP4, WMV, FLV, MPEG, MOV, MKV, RMVB, FLAC, AAC, AC3, AIFF, AMR, M4A, etc. at incredible speed and outstanding output files without quality loss. Besides, it actually still includes other functions, including 2D to 3D converting, Blu-ray/DVD/Video player, video editor, etc. People enjoy lifetime support and free upgrade once they pay for the program. Nevertheless, accidentally deleting your iOS data should not worry you any longer. This is because it is possible to recover any lost data on any iOS device using Wondershare Dr.Fone for iOS (Win/Mac) which is one of the highly useful data recovery solutions that is designed to help you recover lost iOS data from any memory. With this 20% OFF iOS data recovery, you can recover a wide range of data that includes deleted text messages, contacts, photos, voice memos, notes and safari bookmarks among others. 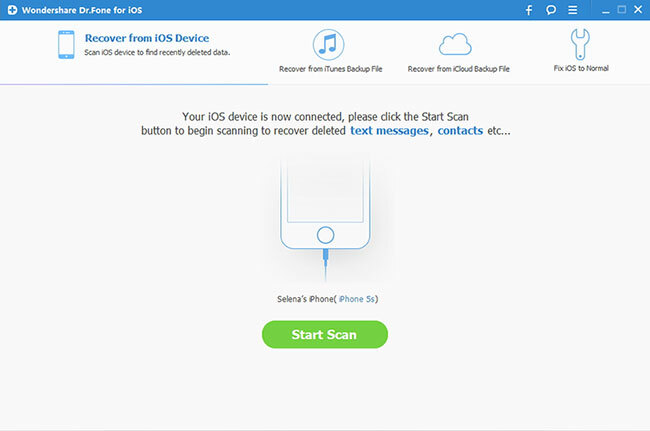 The software offers three data recovery solutions to recover the lost data that includes direct recovery from your iOS device, recovery from your iTunes backup and recovery from your iCloud backup files. Fully compatible with Windows 10, iTunes 12.2.1, iOS 9, iPhone 6s and iPhone 6s Plus. 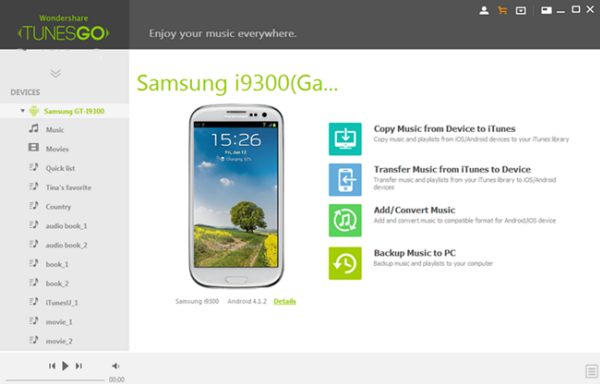 TunesGo for Windows/Mac is a superb tool that provides flexibility in managing the content from your iOS and iTunes to your personal computer, which would be of Windows and much more. The flexibility that has been touted by Wondershare is something that cannot be seen in iTunes, but that does not in any way signify that iTunes is less superior, or it is on its way to extinction. The features include the accessibility and ability to copy the songs between multiple Apple devices, as well as convert the media files into formats that can be viewed in the iOS. Thank all of you again, with your assistance and patronage or further continuous concentration, we still enhance our products quality with higher technology to meet your need and make your enjoyment of music and movie life different or comfortable. Wish you a merry Christmas and a happy New Year! Please head over to Up to 50% OFF Massive Christmas Sale 2015 from iFastime Facebook. Expires at January 31st, 2016. Incredible article dude! Thank you so much! Thanks for sharing your thoughts on christmas sale 2015. New Apple Products 2016: iPhone 7/Plus, New MacBook Air/Pro, iPad Air 3, etc.